I am attempting to get Jet a UKC Conformation Championship. 🙂 This isn’t really easy, because Danish-Swedish Farmdogs are so rare in the USA, most of the UKC judges have never seen one before. So they have to go soley on the written standard that is provided by the United Kennel Club. Personally, I’m not convinced the written standards are really all that exact, or can be interpreted by judges in a total or complete way. But then I’m not really a conformation person. I’m a dog sports person where if you knock a bar in agility, you knock a bar, and the rules clearly state you are out of the race. To me, Conformation is a whole different ballgame. Anyway, Jet is also not really filled out enough yet. He doesn’t have enough Spring of the Ribs as is stated in the standard. He’s a bit elegant. And so many judges will not put him up. I know that I’m showing him too young, really. And I only entered him because there wasn’t much else to do in February around here. Before he got his AKC-FSS recognition anyway. If he’d gotten the AKC just a touch sooner, I would have entered him in all 3 days of the agility that’s happening this weekend. 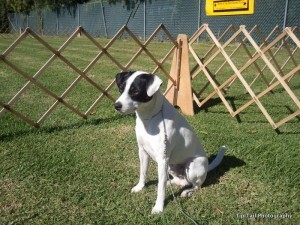 Instead, we are doing 2 days of UKC conformation, and 2 days of AKC agility. So it’s going to be a busy weekend. In UKC, to get a championship, the dog needs 100 points and 3 wins in competition. The points are easy, especially with Jet being the only dog of his breed showing. He gets points for best male, best of breed, yadda yadda, so he already probably has 100 points. A win in competition is basically being placed above another dog in the placements. Shouldn’t seem that hard, really, except for my above explanation. For Jet, not too easy. Last year Jet managed to get a win in competition in one show, and I was thrilled. And today, he got another. I was so happy that I really, really wanted another one! There are two shows in one day. I didn’t like the Staffies that were there at all, but the second judge put Jet last below the Staffie and the Pit Bull. The Pit Bull was nice, I have to admit. But I didn’t like the Staffie. But what do I know. LOL. In the first show, The Pit took first, Jet took second, and the Staffie took third. That’s how I thought it should have gone the second show too. Tomorrow we have 2 more shows. If Jet gets one more win in competition, he’ll get his championship. I can hope, but now I wonder if he will. Hard to know, really. And I’m not a conformation expert. Maybe if I get some acne scar removal cream to improve my own appearance, that would help. LOL. But really, I don’t know how it will go at all. I can just hope for that last win, so I can be done with UKC Conformation. Too much to do, too much stress! Thank you for the explanation of the point system for UKC. I have been told about it before, but it makes a lot more sense how you put it. Jet looks like a gorgeous dog and that is really awesome that he is almost a champ. It is so hard to show some of the rare breeds like that! 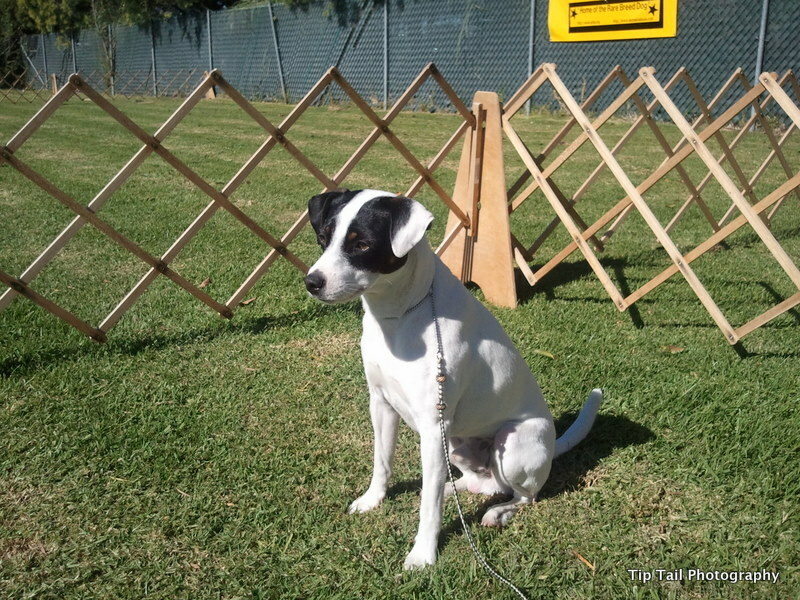 Previous Previous post: Jet’s First Agility Trial A Success!